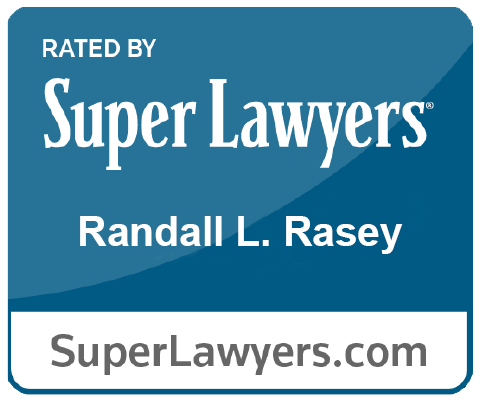 Randall L. Rasey is a Partner with Barton’s Commercial Litigation department. He has represented a wide array of large national and international companies as well as their executives. In particular, Randy has represented private equity funds in financing disputes and in securities fraud cases, and various companies in a wide range of commercial disputes, including foreign companies in disputes with companies in the US. He has litigated IP matters, including licensing disputes and copyright and trademark infringement, and has prosecuted and defended against claims of employment discrimination. He also has substantial experience in complex litigation and managing large-scale document production. Before joining Barton, Randy practiced at McCarter & English LLP, where he worked on complex and class action litigation cases, and Fischbein Badillo Wagner Harding, now Cozen O’Connor, where he practiced general commercial litigation. Randy is Legal Advisor to MantraMarketing, LLC, a marketing firm specializing in transitioning Indian businesses to the North American marketplace; a member of the Legal Advisory Team of Develop Don’t Destroy Brooklyn, Inc., a not-for-profit community development organization; and the sole US member of WorldWide Negotiation, a cross-border dispute resolution network. FCS Advisors, Inc. v. Fair Fin. Co., Inc., 2009 WL 1403869 (S.D.N.Y. May 19, 2009) (Published in New York Law Journal as “Decision of Interest” on 5/27/2009), amended, 07 CIV. 6456 (DC), 2009 WL 1616518 (S.D.N.Y. June 9, 2009), vacated, 605 F.3d 144 (2d Cir. 2010) and aff’d in part, 378 F. App’x. 65 (2d Cir. 2010). Fantazia Int’l v. CPL Furs New York, Inc., 20 Misc. 3d 1113(A), 867 N.Y.S.2d 374 (N.Y. Sup. Ct., N.Y. Co. 2008) (Published in New York Law Journal as “Decision of Interest” on 7/3/2008), modified. Fantazia Int’l Corp. v. CPL Furs New York, Inc., 67 A.D.3d 511, 889 N.Y.S.2d 28 (N.Y. App. Div., 1st Dep’t 2009). Galicia v. Rota Holding Corp. No. 2, 57 A.D.3d 293, 868 N.Y.S.2d 525 (N.Y. App. Div., 1st Dep’t 2008). Successfully represented private equity fund in prosecution of claim for “break-up fee” after collapse of $75 million financing deal; won summary judgment which was sustained on appeal. Successfully defended private equity fund in action by investor alleging securities fraud, claims dismissed on summary judgment. Successfully defended publicly traded Italian fashion company against claims by former US distributor; obtained dismissal of lawsuit in favor of arbitration and dismissal of claims by arbitrator. Represented European fashion group in breach of contract case, won reversal on appeal of denial of directed verdict that plaintiff could not pierce corporate veil to recover from German company for US affiliate’s breach of contract. Successfully prosecuted real estate consortium’s fraud claims against major bank, obtaining favorable interpretation of UCC provisions on summary judgment motion, leading to multi-million dollar settlement by bank. Defended retailer at trial of personal injury action, obtaining favorable jury verdict. Panelist, “The Role of the Expert in Mediation.” Seminar sponsored by Giuffre Editore, Aequitas ADR, and WorldWide Negotiation in Asti, Italy. (June 17, 2010). Randy provides pro bono representation to refugees seeking asylum in the United States. He also serves as legal advisor to Develop Don’t Destroy Brooklyn, Inc., a not-for-profit community development organization. In addition, he is a volunteer arbitrator in New York City Small Claims Courts.